Now we’ve always talked about the visuals, the 3D-ness of films, and not so much with the sound, but never because it was unimportant. It’s just that we’ve probably thought it’d take years to go further than what we’ve already had, especially here in Malaysia. Good thing we have tight competition between the multiplex operators here. 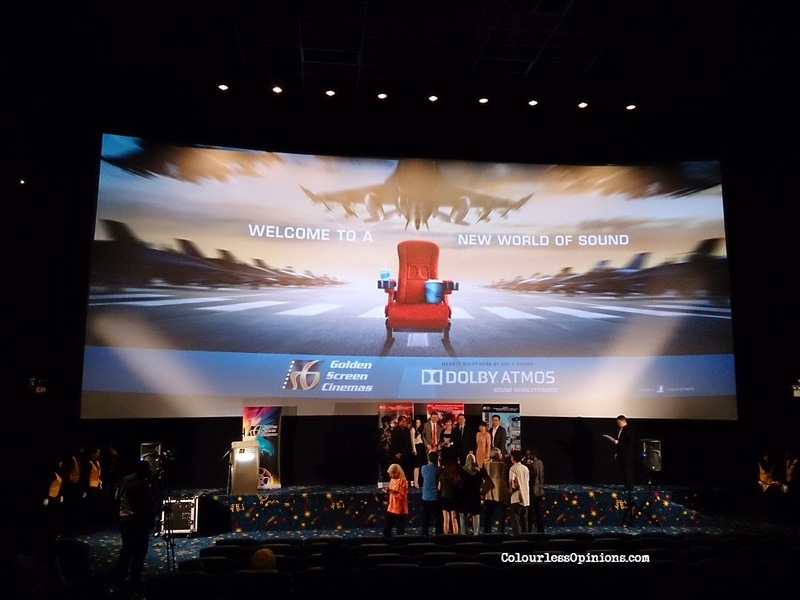 Dolby Atmos is perhaps the latest and most advanced technology for cinema audio platform to date; and Hall 3 of GSC 1 Utama Shopping Mall (Bandar Utama, Petaling Jaya, Selangor) is the first one to have it for movie-goers in Malaysia. The White Storm is the first ever film released in Malaysia with the Dolby Atmos experience. Pretty awesome indeed but I strongly believe that the strength of Atmos would be even more engaging, significant and impactful for horror movies. Just imagine a first person view movie about a haunted house, in a scene where the character walks down the dark hallway, slowly, with sounds of supernatural beings toying around in all directions. I would probably piss in my pants but I can’t wait to see one as there’s definitely potential for that. Ticket price for movies in Dolby Atmos will be only RM1 more per ticket than the normal halls at GSC 1 Utama. Hopefully the platform will be installed for the other halls at the other outlets as well. For more details, visit GSC.com.my. For more updates from this blog, follow me on Facebook, Twitter and Instagram.